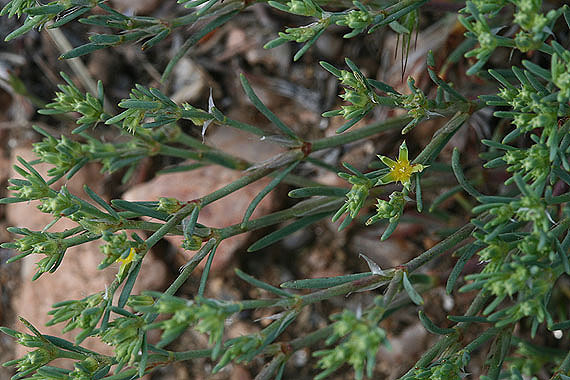 Leaves of Paronychia jamesii are 6 to 20mm long. Leaves are longer than the papery stipules. Plants grow at lower elevations. 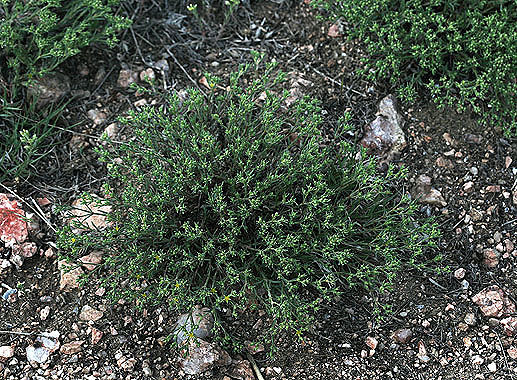 Compare to Paronychia pulvinata, which is a mat-forming tundra plant. Compare to Paronychia sessiliflora (not pictured), with shorter (4 - 6 mm long) leaves. Stipules of P. sessiliflora are the same length as the leaves.